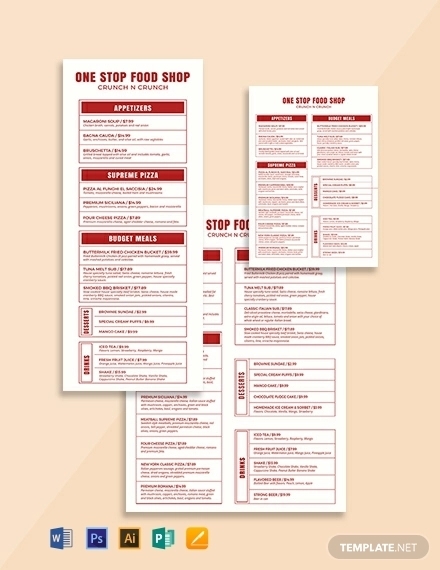 For any food joint, restaurant, café, and bar the most important thing is the menu card. 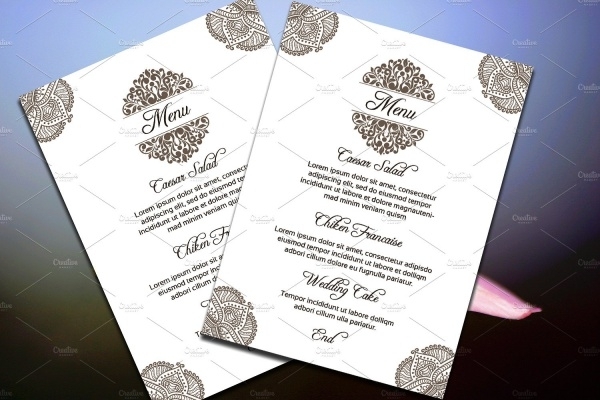 The menu card is a medium through which you give the details of the variety of the food items and drinks which you provide. 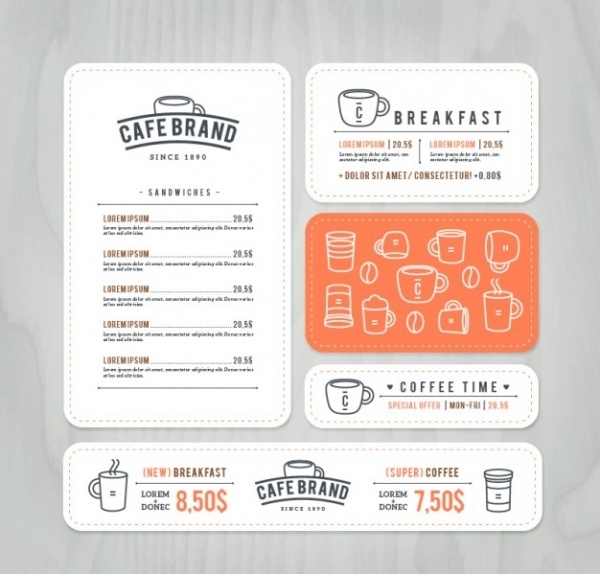 A menu card should be informative and also give details about the items serves. Along with being informative, it should also be attractive and pleasant to the eyes. 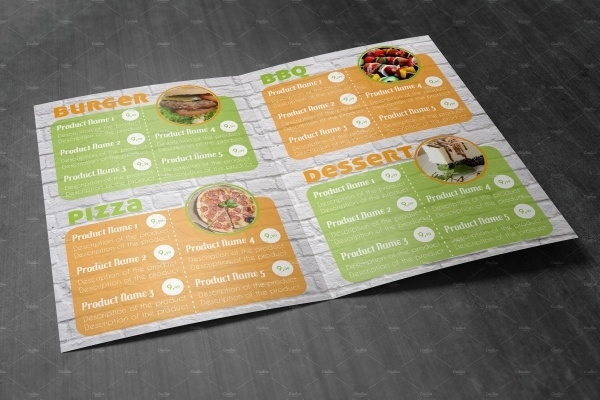 The menu card makes the first impression for your restaurant and you must ensure that it is perfect. 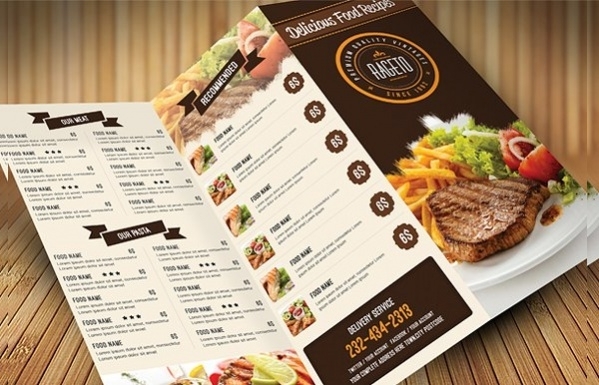 There are a variety of menu designs on the internet which you can choose from according to the restaurant you have. 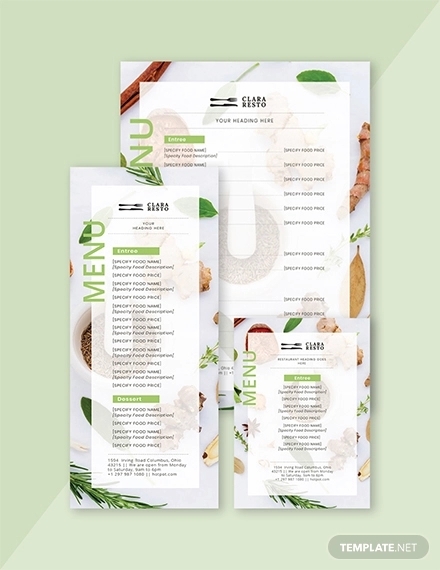 If you are in the process of starting a restaurant and looking for a menu design, you will find many menu design ideas on the internet from which you can design your menu card catering to your restaurant ambiance. 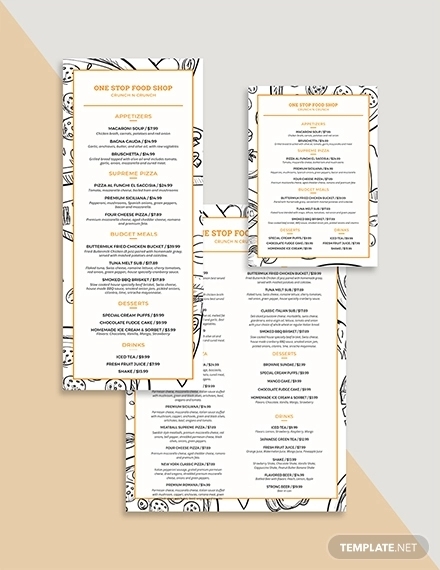 Also, you can download free menu design templates which are readily available. 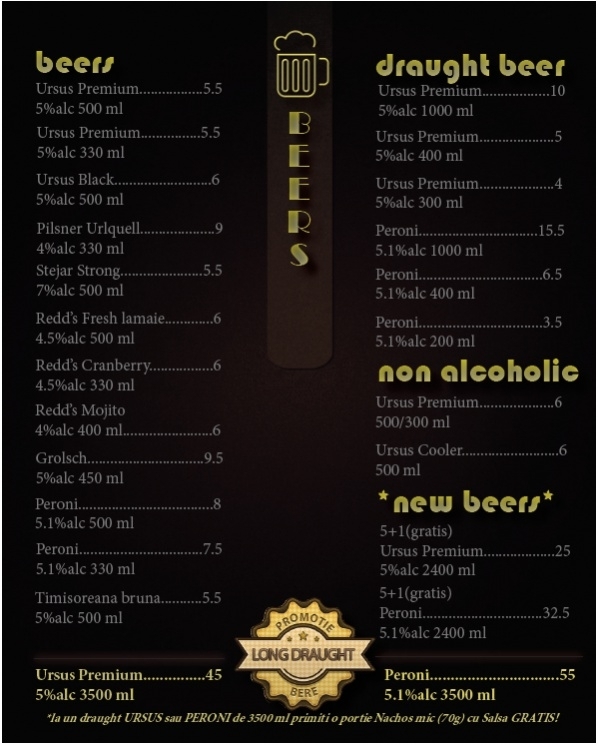 The drink menu is used for giving details of the bar menu and thus is very colorful. The drink menu designs available on the internet have pictures of attractive cocktails, mocktails which make the drinks menu presentable. 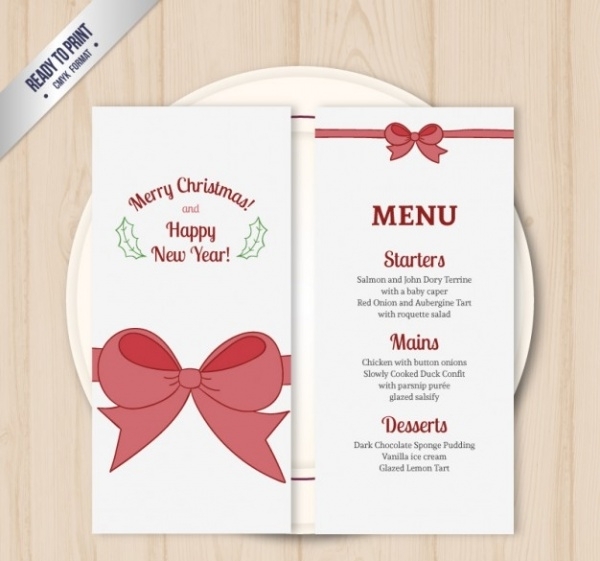 Christmas menu as the name suggests is used for during the festival time of Christmas. 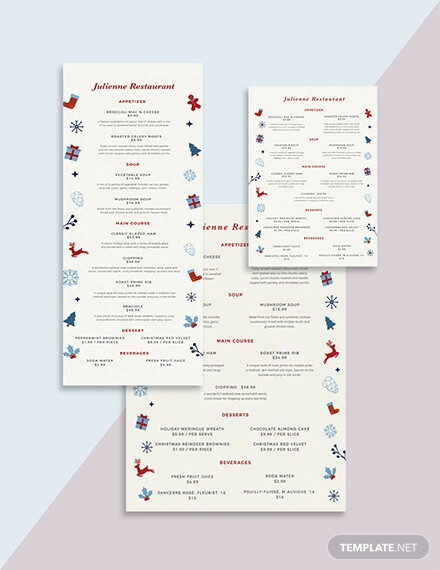 Having various illustrations such as snowman, snowflakes, Christmas tree there are a lot of free menu design templates available for the Christmas theme. 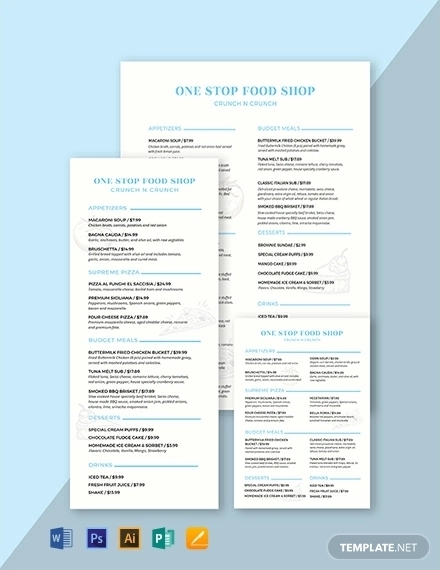 Food menu design templates can be used for designing a menu for any particular food joints. 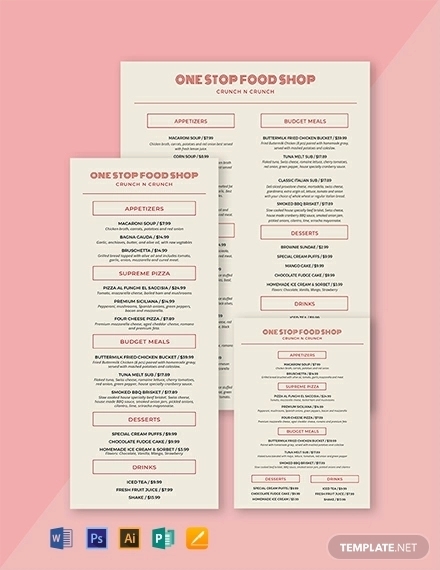 Food menu design templates provide spaces for a lot of pictures of food which makes your food menu attractive to your customers. 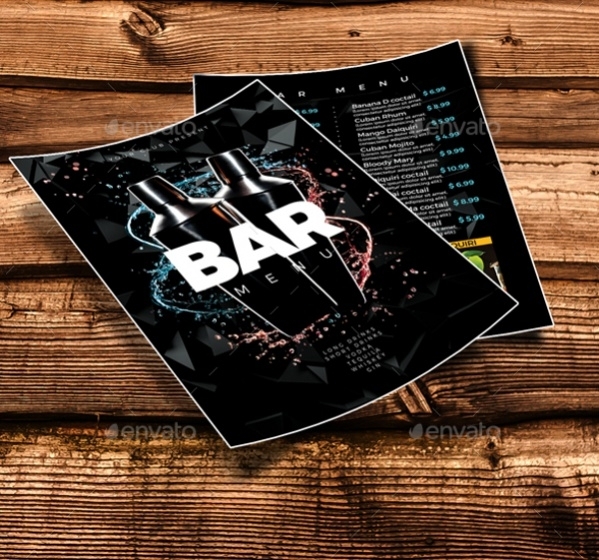 Cocktail menu design templates come in different colors and come with pictures and also with colorful illustrations. 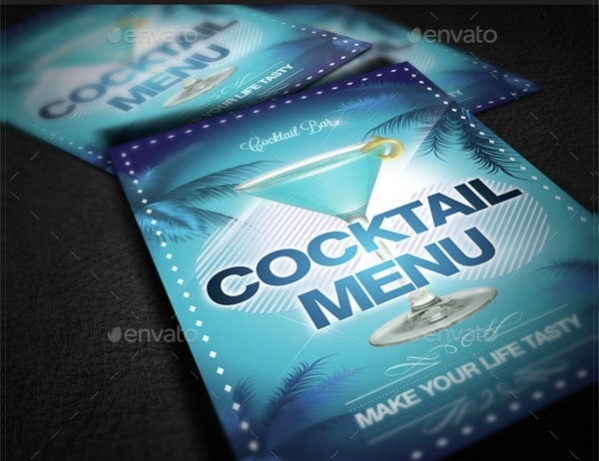 You can easily get inspired by the many cocktail menu designs you can choose from the internet. 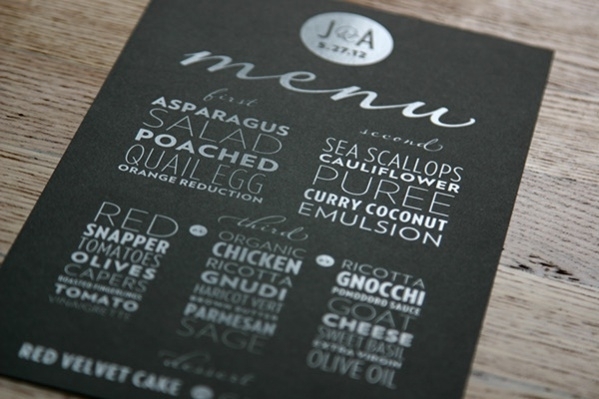 Wedding menu designs are simple but elegant. 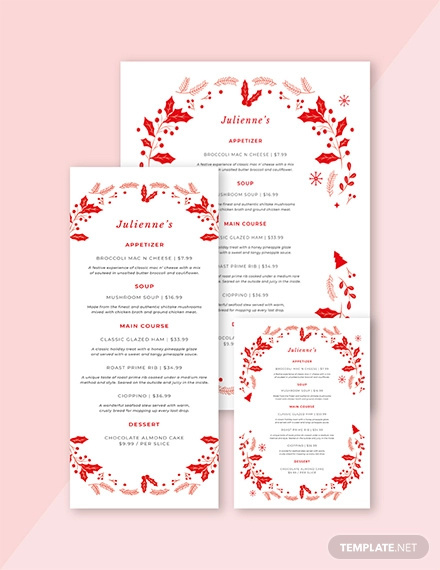 You get a lot of wedding menu design ideas and also free menu designs templates which mostly use white color for the background and have delicate floral designs for decorating the same. 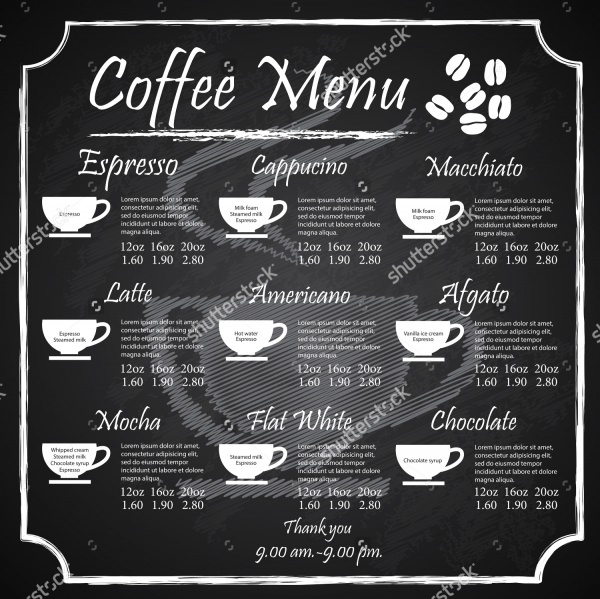 Coffee menu designs are of coffee colors and have graphics depicting coffee cups, coffee beans and all other things which you can associate with coffee. 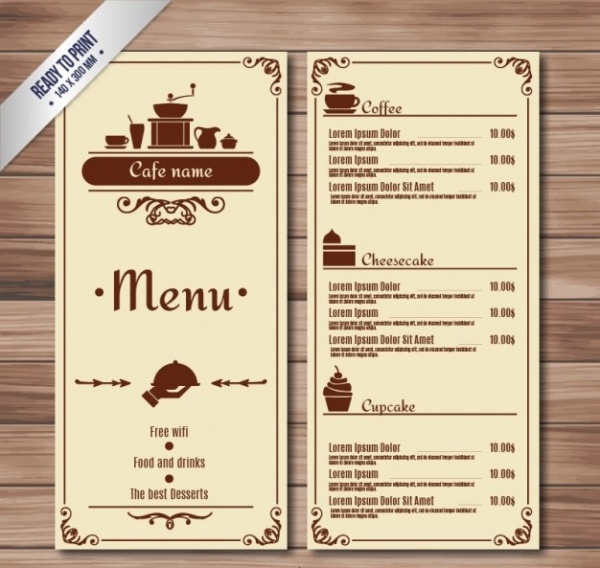 There is a variety of menu designs for your café which you can choose from for your café menu. 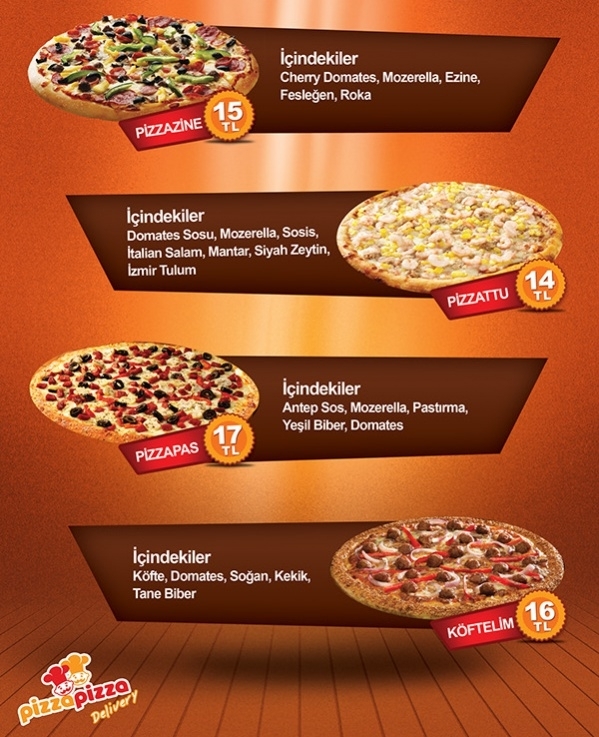 Pizza menu designs are very colorful with images of tempting pizzas. 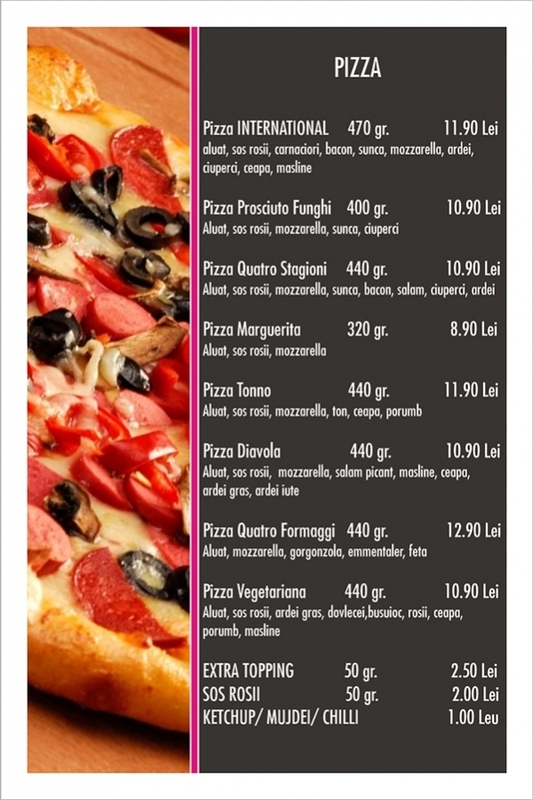 The most important thing for a pizza menu design is the images of pizzas you put on the menu card as customers will judge the quality of food on those pictures. 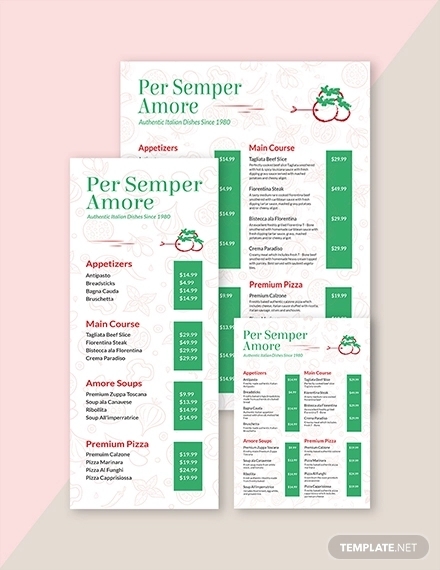 You can choose free menu design templates for pizza where you get attractive images of pizzas. 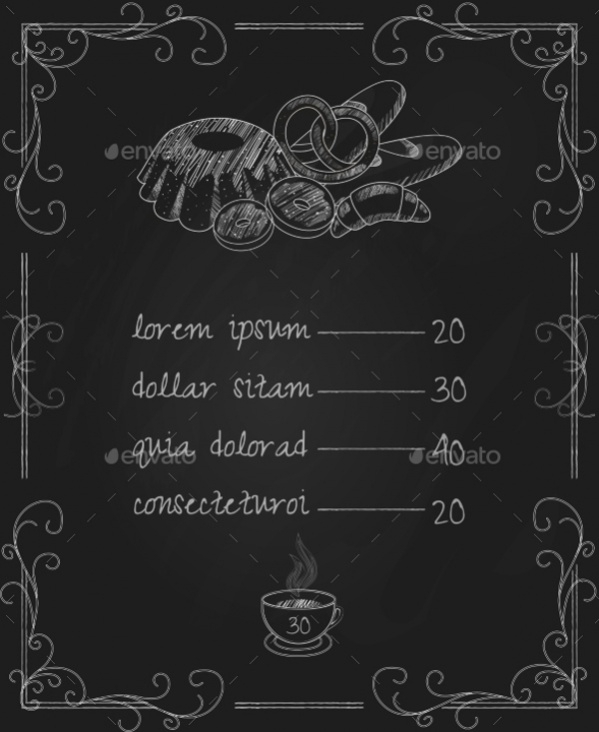 Chalkboard menu is a newly returned old concept of displaying a menu on the chalkboard. You can choose from many creative menu ideas which you can draw on the blackboard and add a decorative touch to your restaurant. Now, a café can serve a lot of things ranging from coffee to a meal. 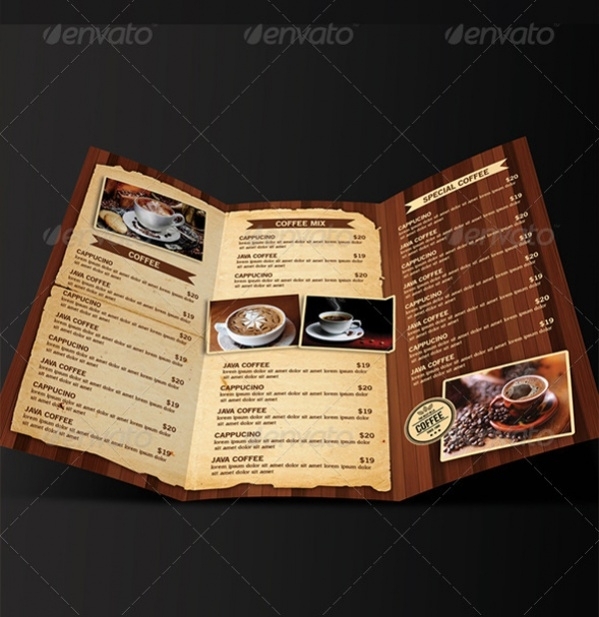 The café menu design templates will also cater to your requirements and provide you with the innovative and creative menu design ideas for your café. 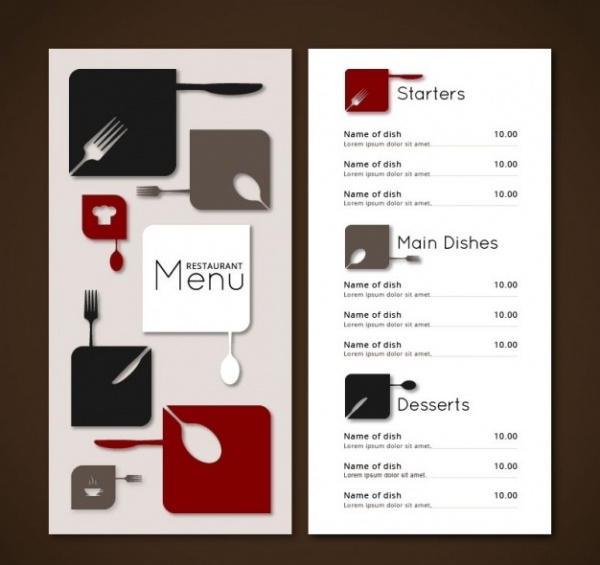 In this era of technology development, a responsive menu is a will be a perfect asset for your restaurant. 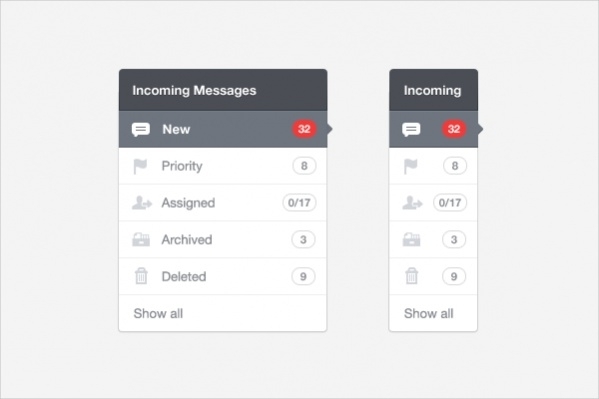 A responsive menu is basically an e-menu wherein the menu card is displayed on tabs or smartphones and the customers can place their orders according to that. 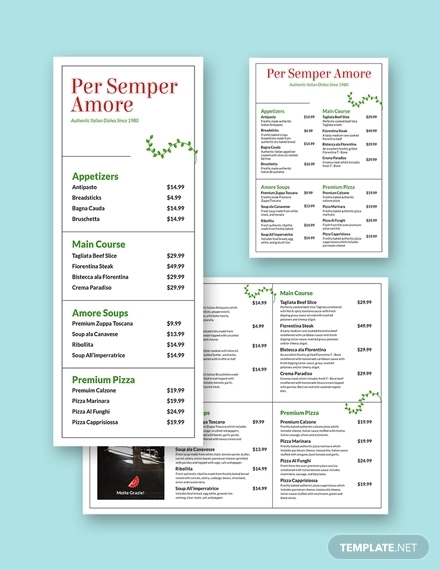 There are various menu designs which are available and you can choose from the same to develop your own responsive menu card making your restaurant techno savvy. A spa is a perfect solution to relax in this hectic life. The menu in a spa should be informative and the design should be aesthetic. 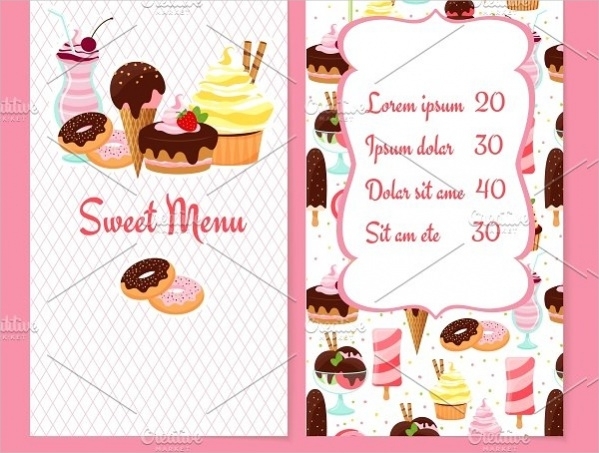 The menu design templates which are available on the internet have light and peaceful colors and pictures of nature on them. 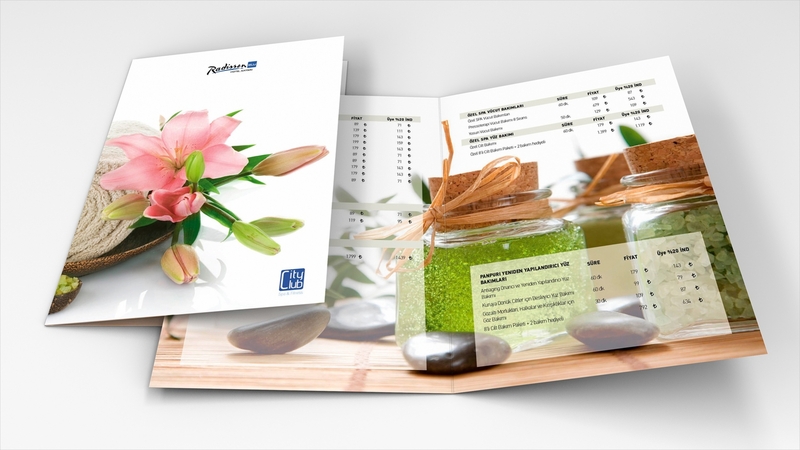 They are designed in such a way that one should feel relaxed by just looking at the spa menu. 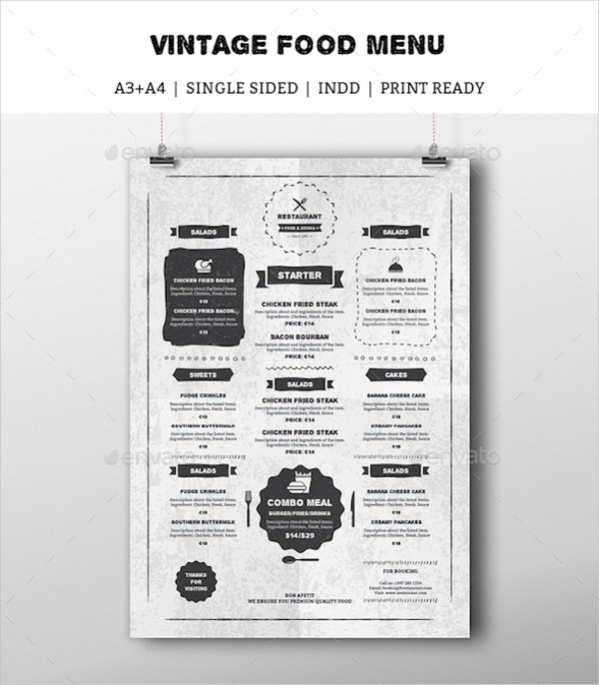 Vintage menu designs are usually used for the menu cards of theme restaurants wherein they have themes such as Victorian theme, or The Great Gatsby theme and many such similar themes. 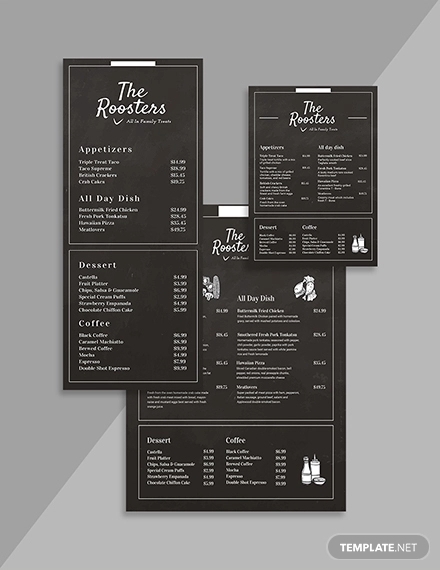 For such themed restaurant various free menu design templates are available which is black and white considering the theme. 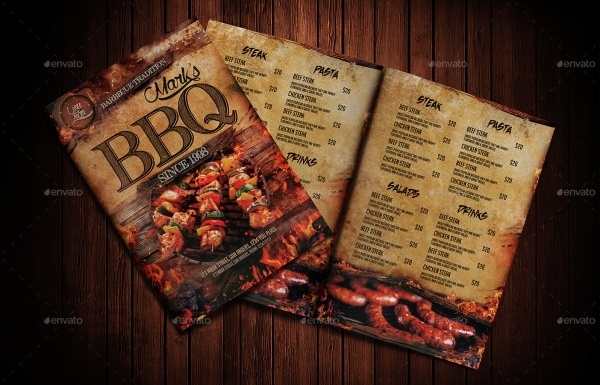 With a lot of barbecue restaurants coming up, barbecue menu design templates are in demand. 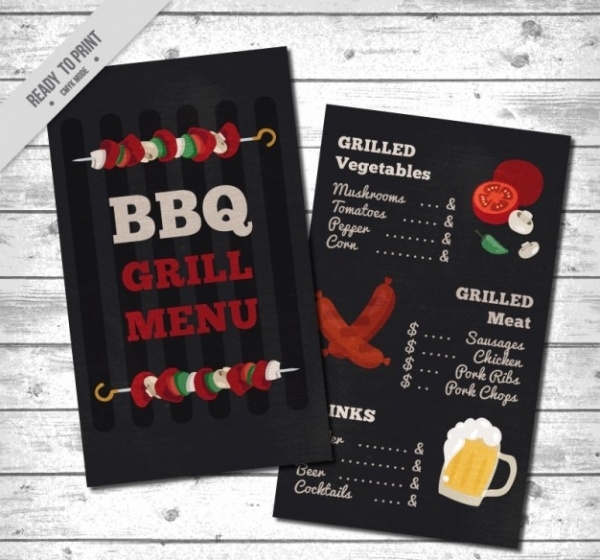 Barbecue menu design templates have illustrations of barbecue related things like a grill, skewers, sausages etc. This helps to the customer to identify what kind of food he can expect. 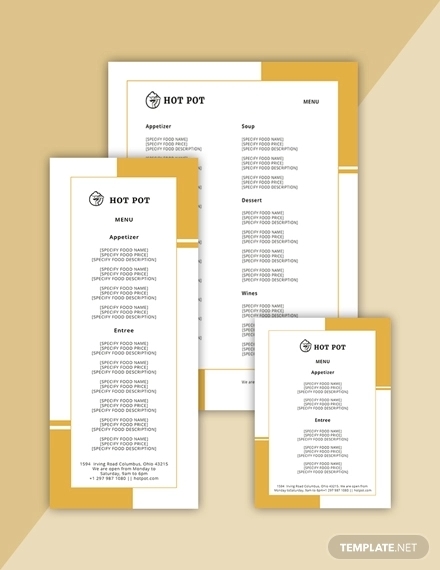 Dinner menu design templates are classy and distinguished to look at. You won’t find bright colors or illustrations in the same. They will be simple and to the point without being extravagant. 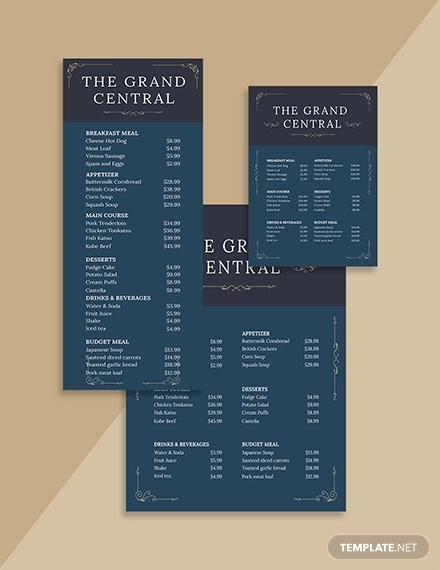 Dinner menu design is made for menus of those restaurants which have an elegant aura. Desserts are everyone’s favorite course of a meal. 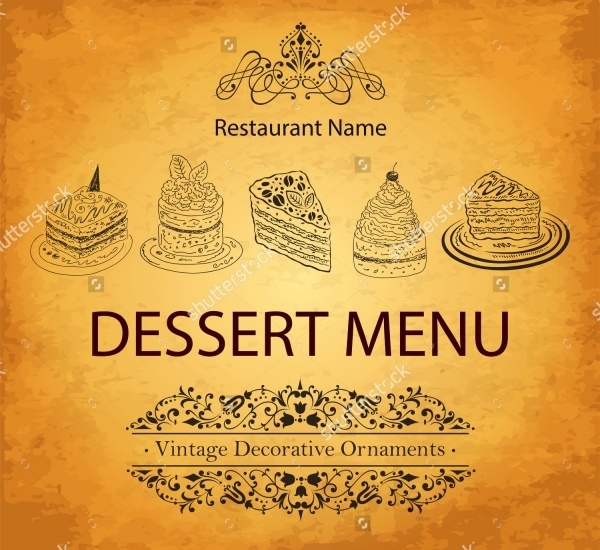 If you own a dessert place then you have to have an attractive menu design for the same as the customers who come to the place first time while judging the desserts you offer through the menu card. 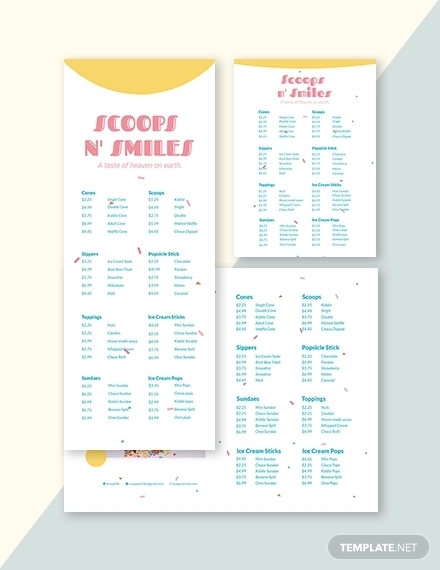 Free menu design templates which are available for dessert menus are colorful and provide a lot of space for pictures so you can put pictures of tempting desserts for your customers. Every event has a purpose or a theme. 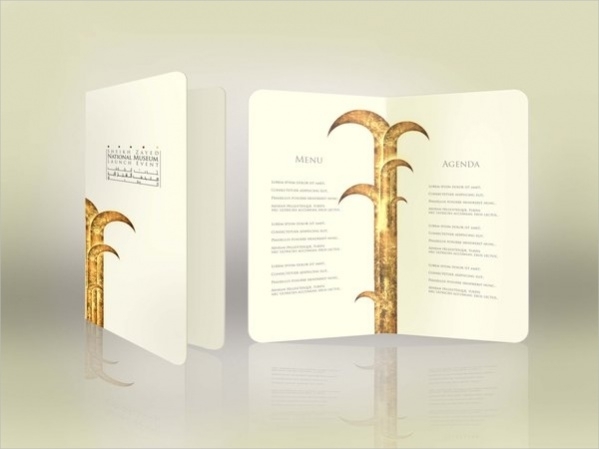 If the menu card of the event is also related to the event theme then it leaves a good impression of your event management. 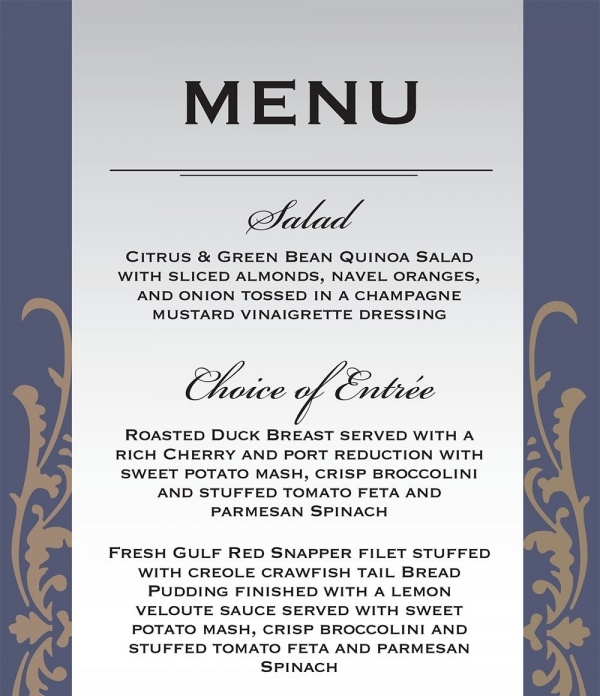 You have various menu ideas and free menu design templates to choose from for your various theme based events. 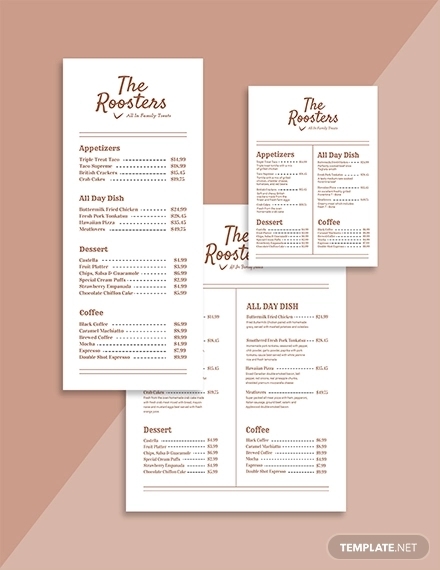 A hotel menu design template provides space for a very detailed hotel menu and also provides ample amount of space for the pictures. 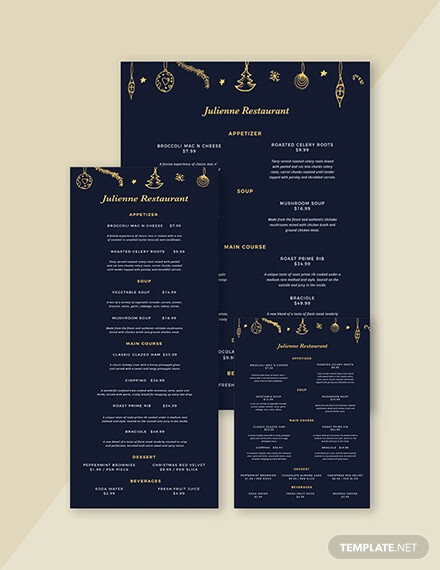 A hotel menu design is usually big from all other menu designs and thus it’s a big task to think of a menu design originally, but having many free menu design templates for the same make it much easier. 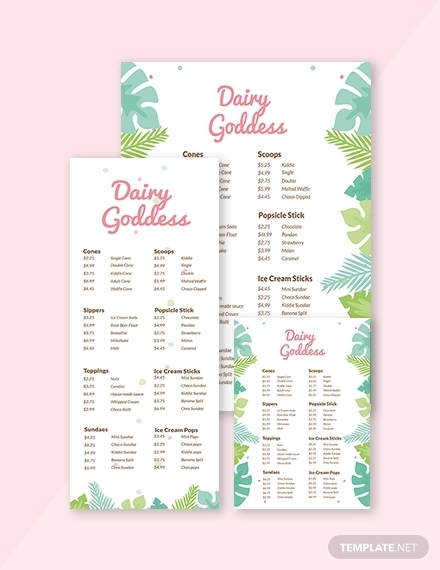 Ice cream menu is another crucial part of owning an ice cream place as the first thing the people are searching for in an ice cream shop is the menu card. 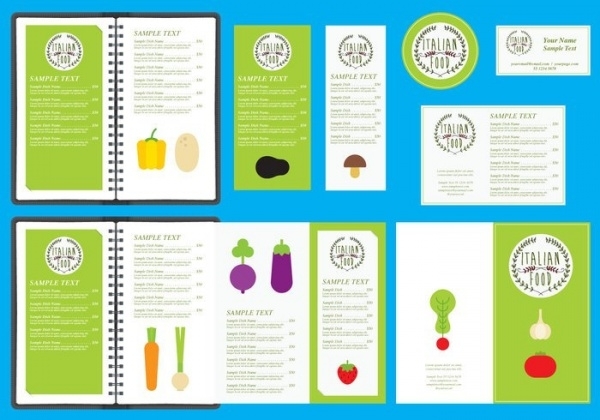 The menu design templates available have vibrant colors which would attract kids. 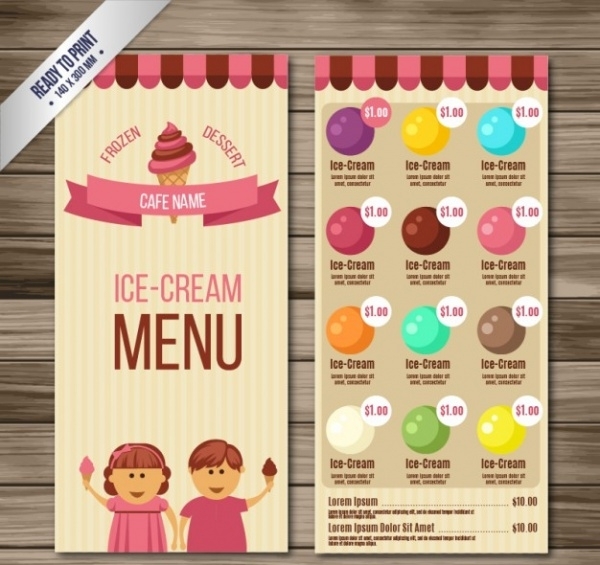 Also, sufficient space is kept for pictures in the free menu design templates available. 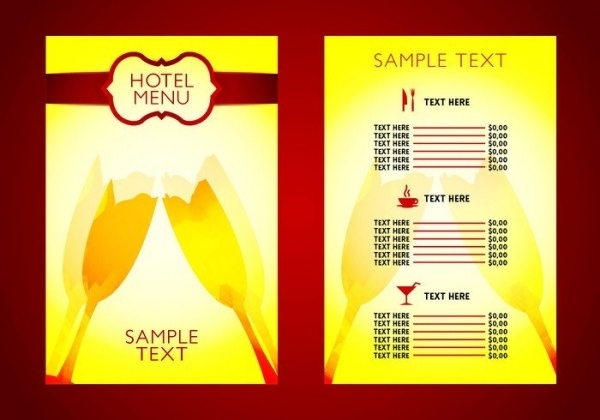 Wine menu design templates are of a single color as adding a lot of colors to the same disturbs the mood of the customer as people prefer drinking wine to be relaxed. With a picture or two of elegant wine glasses, the menu designs for wine are pretty much simple. 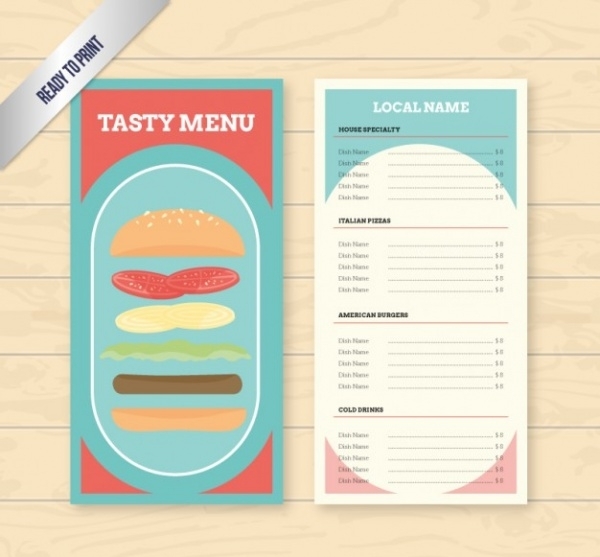 Burger menus should be flamboyant with a lot of colors and pictures of mouthwatering burgers. 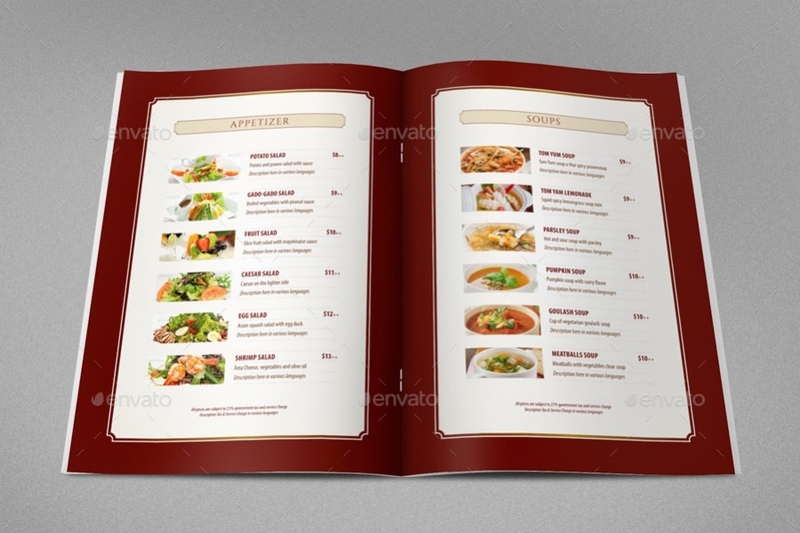 The menu design templates available provide exactly what is required. 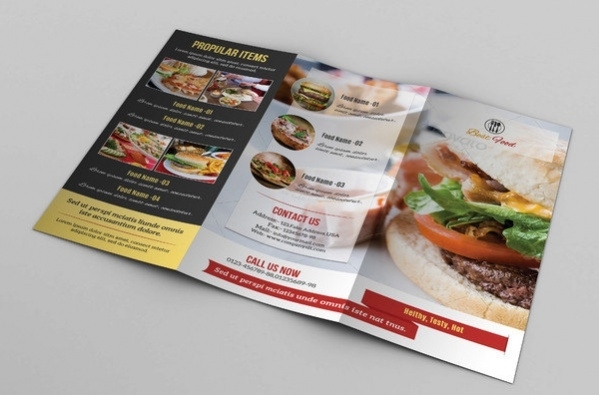 With space for big images and also trendy fonts, burger menu design templates are a must refer to for designing your burger menu. 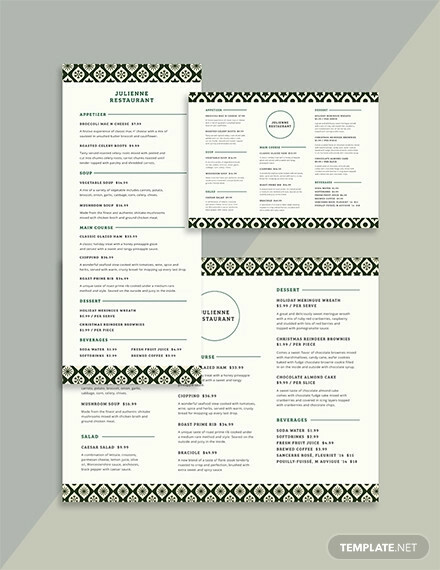 Seafood menu design templates usually follow cool color schemes with colors like blue and green as they represent the sea. 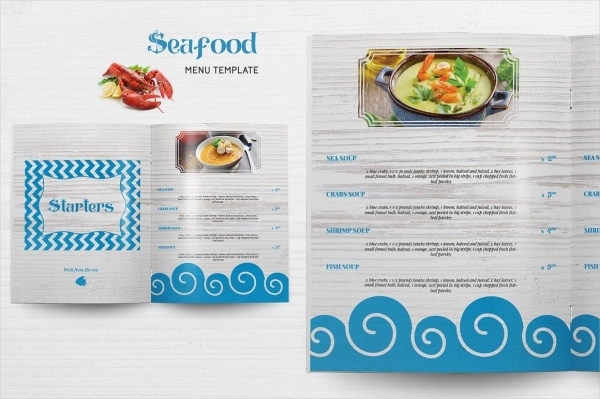 Also in the free menu design templates available on the internet will have a background of water and space for portraying images of seafood. 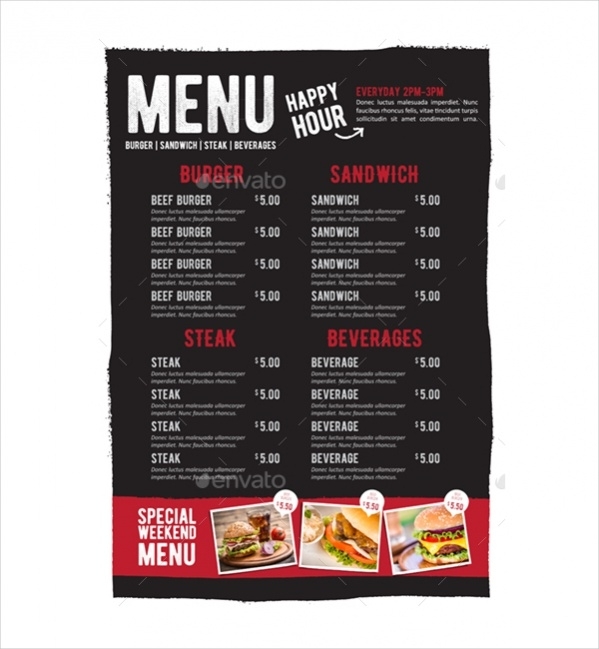 Fast food menu designs have a lot of diversity as there is also variety in the fast foods. 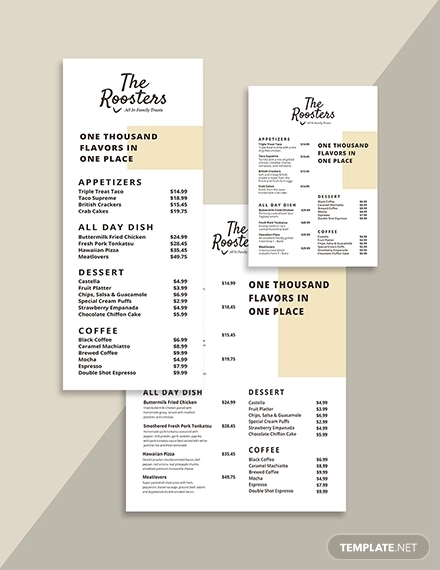 Colorful and having more space for pictures, fast food menu design templates are available for reference before designing your menu card. Fast food menus are more about pictures than text. How to Use these “Menu Designs”? 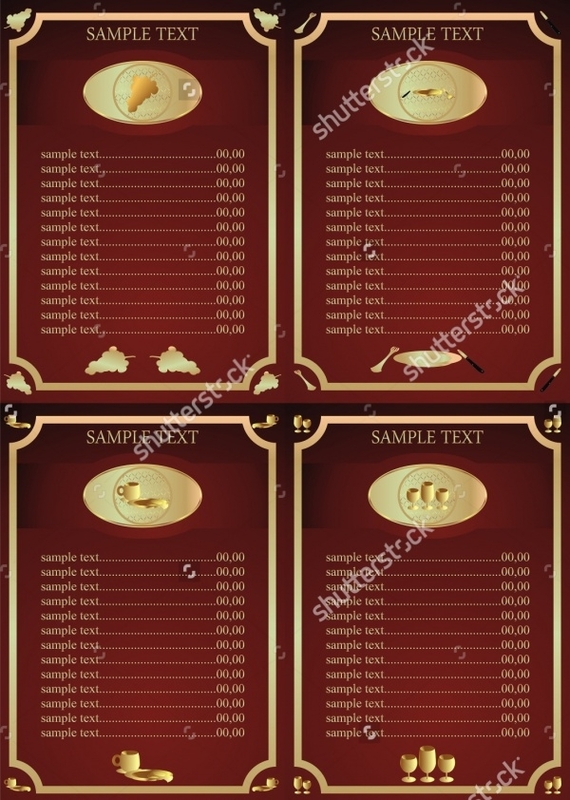 It is really very simple to use the menu design templates available. 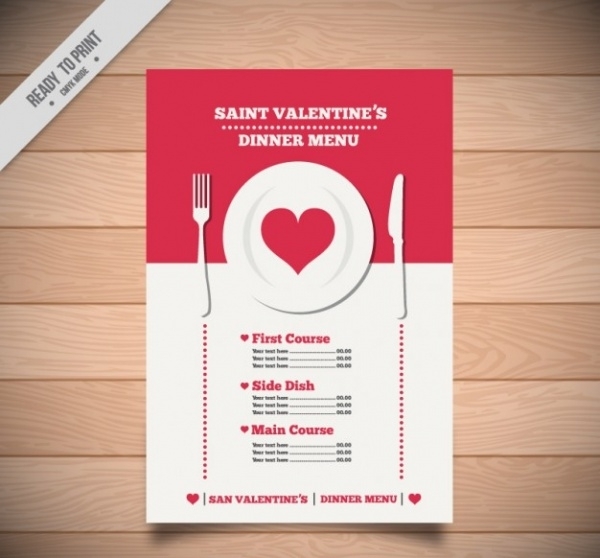 You need to download the menu design template you desire. 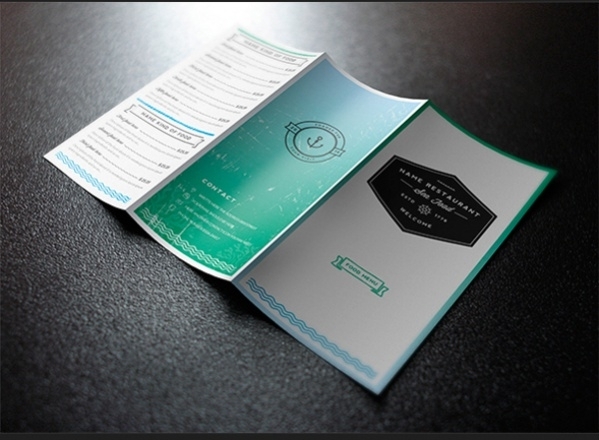 Menu design templates are available in PSD format as well as word format compatible with MS-Office. Once you download the template you need you just have to edit it as per your requirements in Photoshop or in any software of MS- Office. Add tempting pictures with the descriptions of your dishes and your menu card is ready and you are good to go! 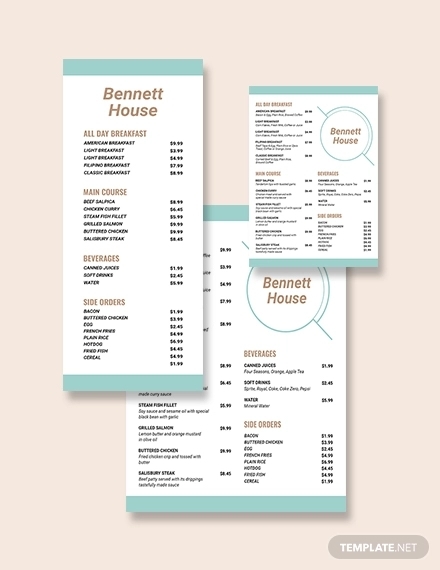 If you are just taking the menu ideas then make sure you get your menu card designed from a good graphic designer based on your menu design idea. 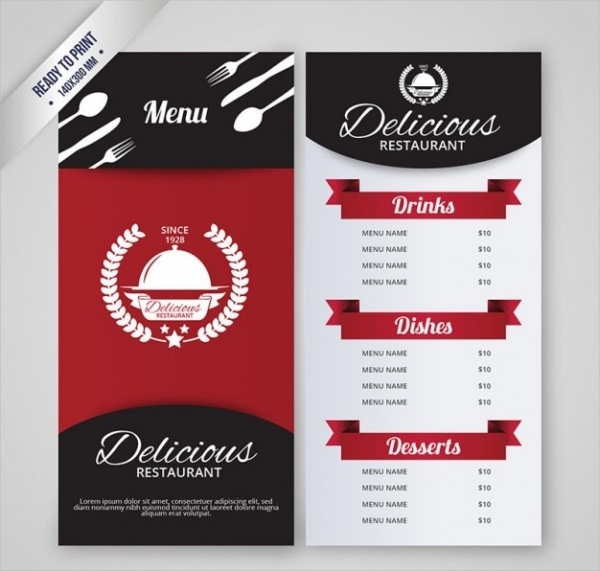 If you are looking forward to starting your own restaurant or if you are planning to renovate your restaurant, then it will be a good decision to invest your time and money in designing a good menu card for your restaurant. 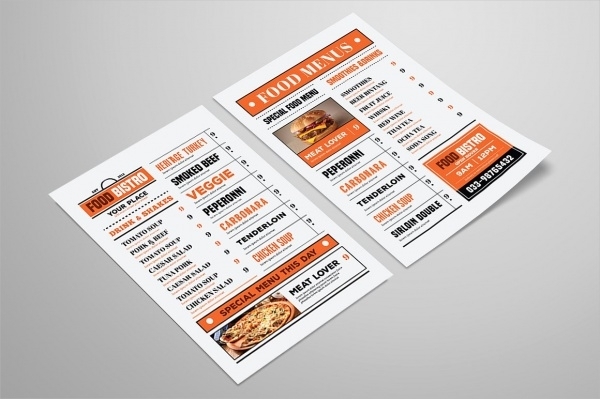 The menu card is the first impression of your restaurant and by getting a good menu design you can make it memorable for your customers; after all first impression is the last impression.